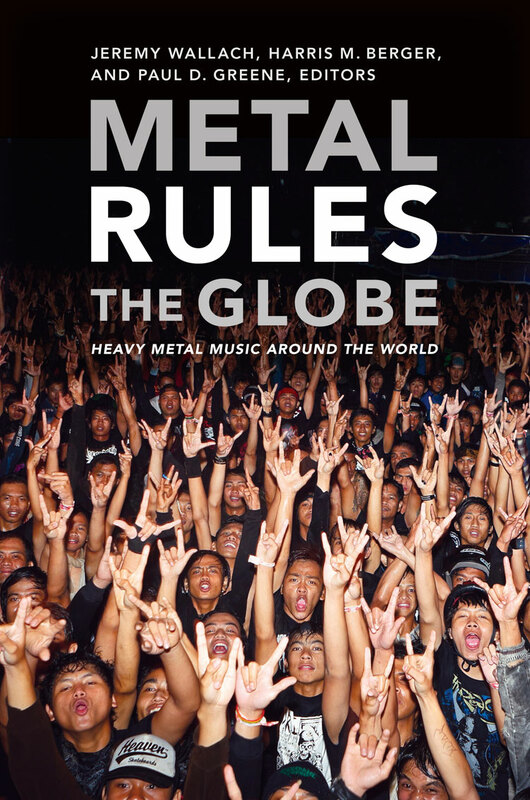 Official Website for Metal Rules the Globe, a collection of academic essays on heavy metal around the world edited by Jeremy Wallach, Harris M. Berger, and Paul D. Greene on Duke University Press. “Frequently misunderstood and maligned in its countries of origin, heavy metal music has in the last four decades become a potent source of meaning and identity for young and no-longer-so-young people across the planet. These fans have stayed loyal to the music despite societal disapproval, occasional moral panics, censorship, and even government harassment and violence. Metal Rules the Globe is the first academic book to explore the broad swath of metal’s worldwide growth and examine why this often devalued, censored, and ridiculed music genre has attracted so many devoted fans in far-flung locales” (from the introduction).